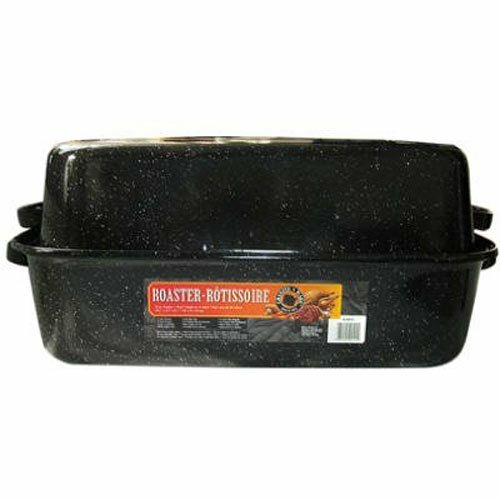 Granite Ware Covered Rectangular Roaster 21.25 x 14 x 8.5 Inches. Carbon steel construction and porcelain surface is naturally nonstick. Excellent heat distribution.